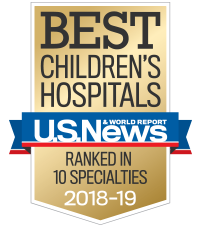 The certified pediatric rehabilitation specialists at Children’s Healthcare of Atlanta offer compassionate and comprehensive rehabilitative and therapeutic care for conditions and issues ranging from pediatric audiology and cardiac rehabilitation to movement therapy and dance medicine. Our Assistive Technology Center provides assistive devices to children with special needs to help them function independently. Our specially trained hearing specialists identify hearing loss and design rehabilitation plans to meet each child’s needs. Our therapists use auditory-verbal therapy to help children with a hearing aid or cochlear implant learn to talk and understand speech. We help children gain the confidence and skills—such as self-care, dressing and wound care—to regain function and independence. Our therapy team helps children with heart defects and heart disease improve endurance and strength and reduce future health risks. Our therapists help children with limited use of one arm and hand improve function and strength in the weaker side by restraining the stronger side. We assess how safely young adults can drive, with clinical and behind-the-wheel evaluations by a certified driver rehab specialist. We provide specialized care for children and young adults with both spinal cord and brain injuries, known as dual diagnosis. Children’s offers expert care for children with conditions of the hands, wrists, arms and shoulders. We identify hearing loss at the earliest stages to reverse or lessen it, and help children manage their condition. Our therapists use musical activities—creating, singing, playing or listening to music—to stimulate physical, cognitive and emotional healing. Our occupational therapists help children with physical, mental or cognitive disorders develop, maintain or recover daily living skills. We offer a wide range of outpatient rehab services, including audiology and occupational, physical and speech-language therapies, and more. Our therapy services help children with reading disorders build stronger reading, writing and comprehension skills. Our therapists help children with movement, cognitive and sensory difficulties function more independently. Our speech-language therapists help children improve speech, language and communication skills. Our spine care team is specially trained to fit children with braces to treat spine conditions, such as scoliosis, or help bones heal after surgery. We evaluate and treat children with vestibular system damage, which can affect balance, vision and hearing. Our specialists are trained to identify voice disorders at the earliest stages and help children develop a clear speaking voice.